I’m fairly ambivalent about risotto. It is never a dish I yearn for. 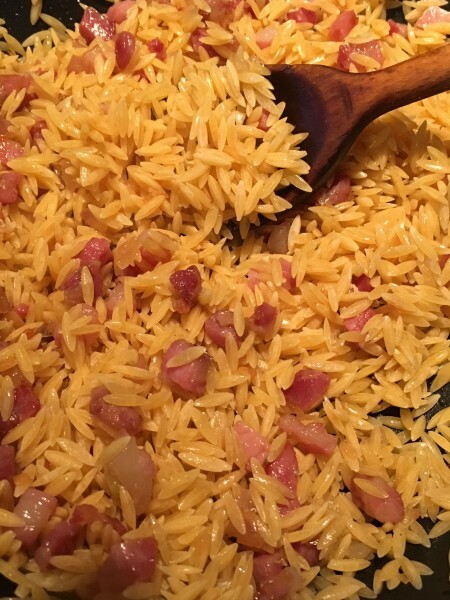 Apart from rice pudding (which I love with a passion) I can leave most rice dishes. However, an orzo risotto is a different matter. This little rice grain-shaped pasta is incredibly satisfying to eat. What’s more you don’t need to watch over the risotto- a quick stir is all that’s needed every now and again, to make sure the pasta is not sticking to the base of the pan. 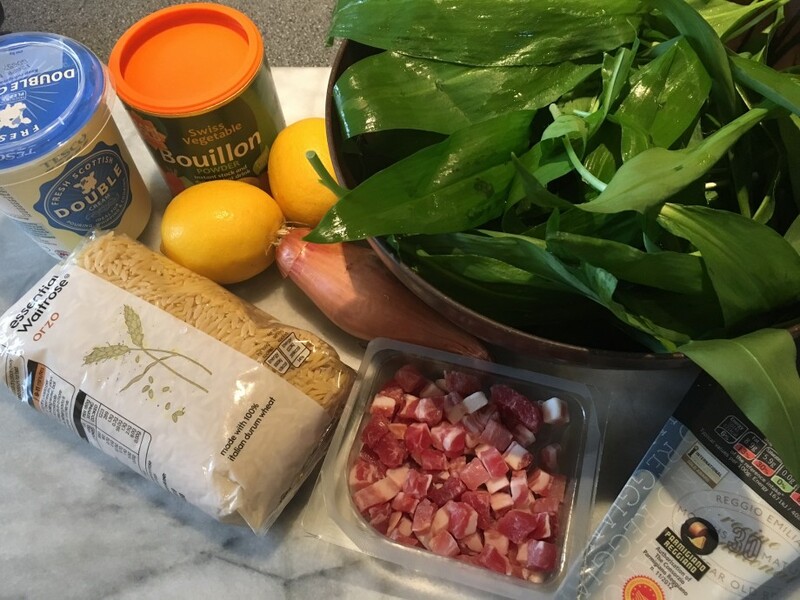 I’ve started my annual foraging for wild garlic as you might guess from its inclusion in this recipe. 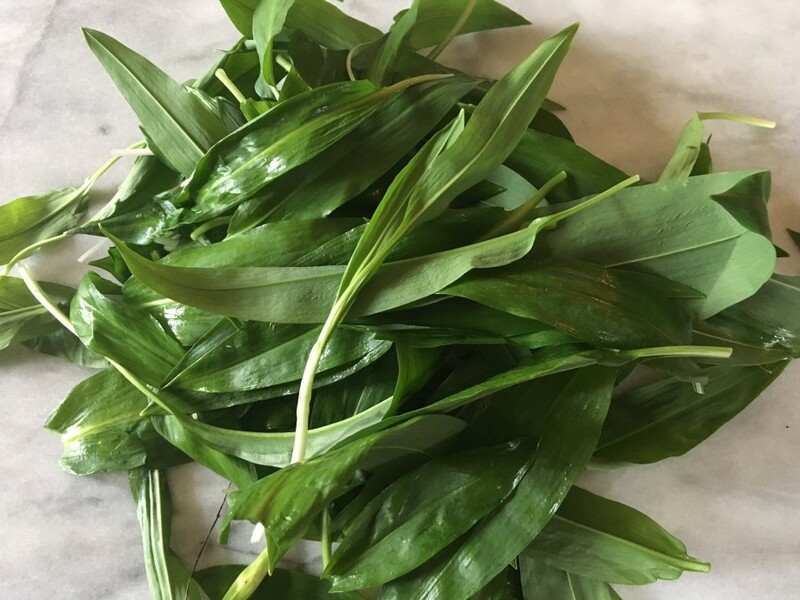 If you can’t find a supply of wild garlic or it is not the right season I suggest you substitute spinach for the leaves and add a generous handful of chopped chives for the allium flavour. Leave out the pancetta if you want a vegetarian dish. Heat the butter in a large saucepan and gently cook the shallot for about 5-6 minutes until soft but not coloured. Add the pancetta cubes and continue to cook, stirring regularly for another 5-6 minutes. Add the orzo pasta and stir to coat the grains. Cook for 2 minutes then pour in the stock. Bring to the boil then leave to simmer for about 8 minutes, stirring every now and again to stop the pasta sticking to the base. The pasta should be almost cooked -still with a bit of bite to it. 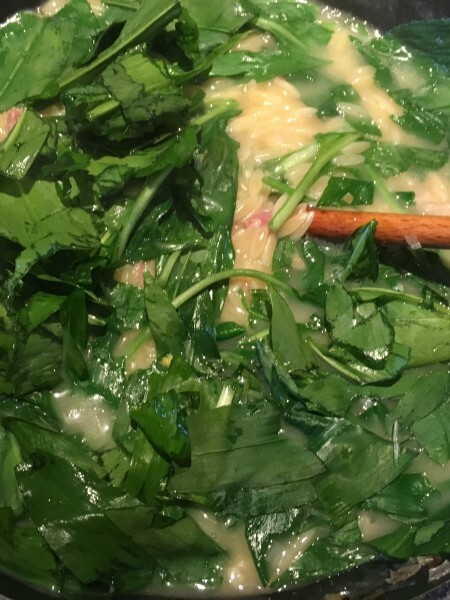 Stir in the lemon zest and juice and wild garlic. Continue to cook for a further 2-3 minutes or until the pasta is cooked but still al dente. Stir in the cream and taste and season with salt and ground black pepper. 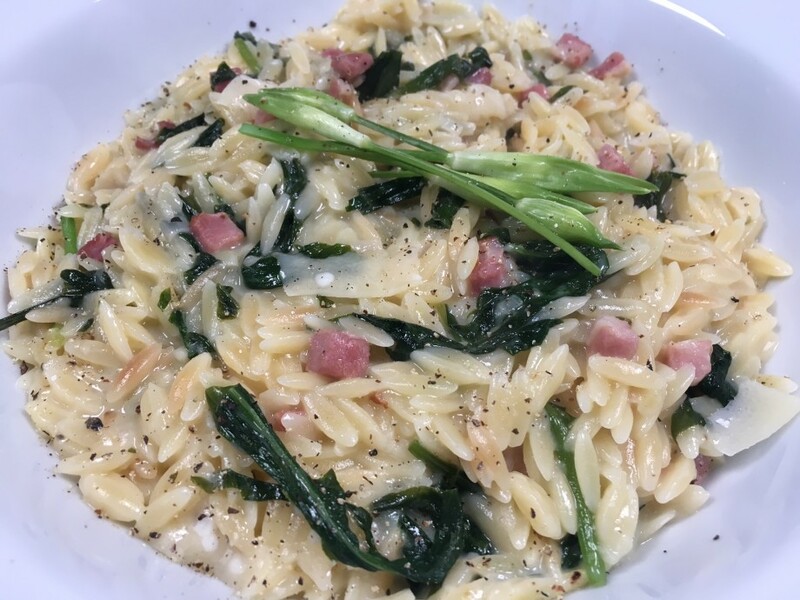 Serve as soon as possible with parmesan shavings sprinkled over the risotto.